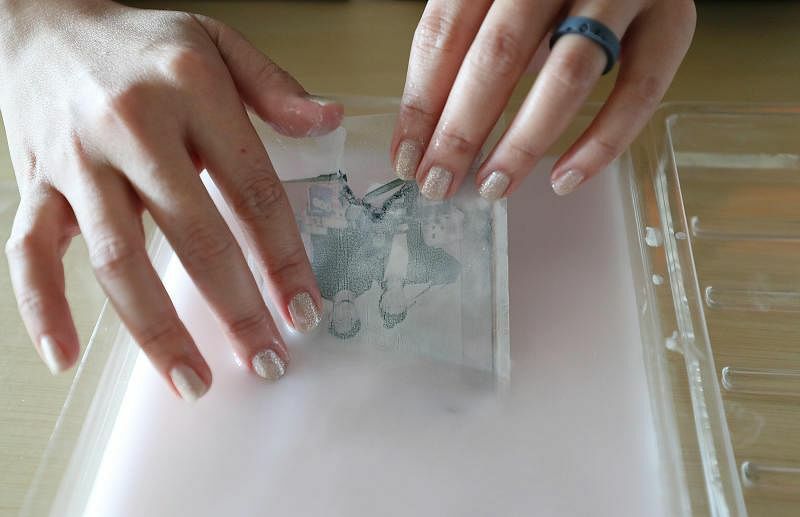 Multidisciplinary artist Noreen Loh shows how to remove the emulsion layer from a Polaroid photo and transfer it to a different surface. This technique is known as an emulsion lift. 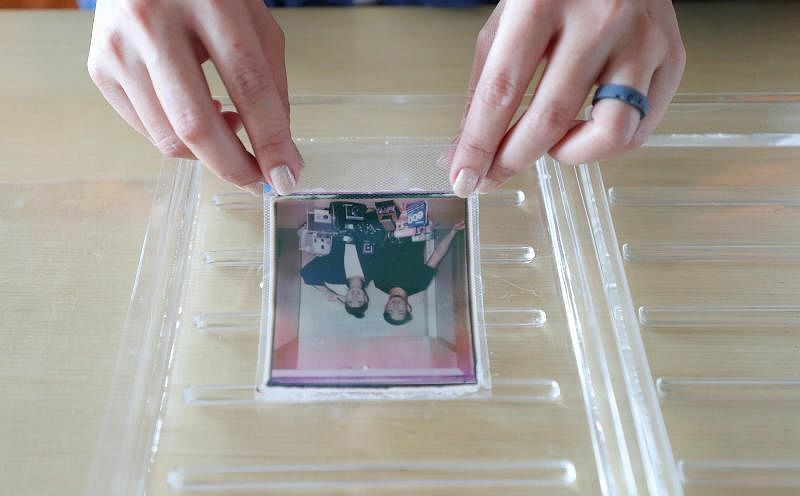 SINGAPORE - Multidisciplinary artist Noreen Loh offers step-by-step instructions on how to separate the Polaroid image from a Polaroid photo and transfer it to another surface for decorative purposes. This is known as a Polaroid emulsion lift. 1. 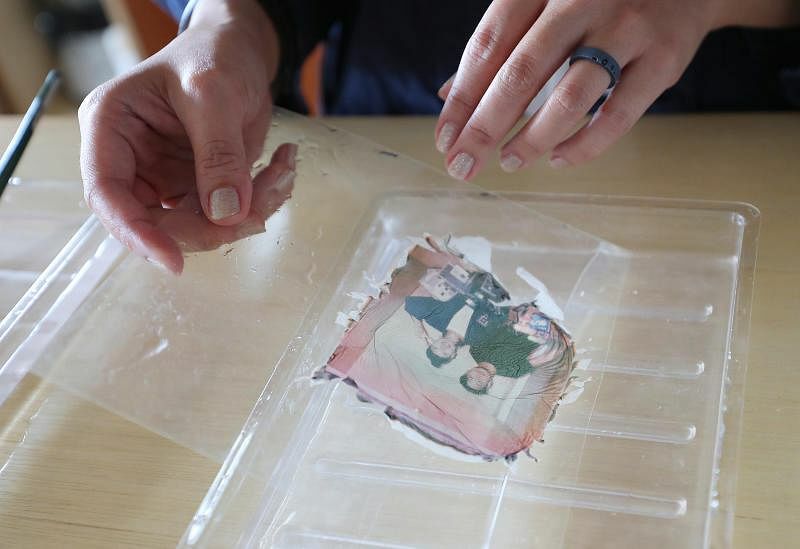 Use a penknife or scissors to cut off the photo's white border and peel off the Polaroid's image (that is, the "emulsion") from the black backing. 2. Submerge the image in water. Remove the white substance on the back of the image. 4. 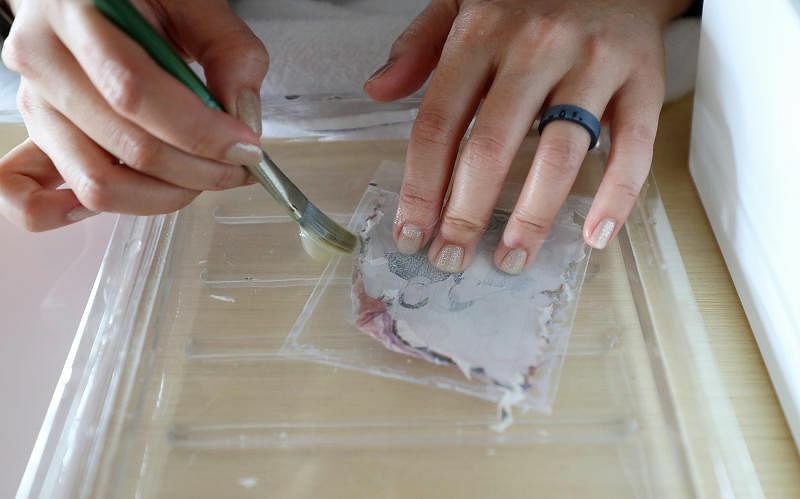 Slowly and gently, peel the image off the plastic coating. You can use a brush to help you. This could take 10 to 15 minutes. 5. When the image has been removed, transfer it to a plastic sheet with the front facing upwards. Rinse it in water again. 6. Transfer the image to a final surface and rinse it again to smoothen it. 7. And there you have it - a Polaroid emulsion lift.